If you’re preparing to spend somewhere in the region of $200 on a new pair of earbuds, chances are you have a specific set of priorities, a clear sense of the kinds of features that are must includes and those you can live without, and, of course, a particular use case in mind. That being the case, you will be pleased to find that the ~$200 range provides a good deal of variety when it comes to both specialist and general use options. If you make sure to do the requisite research before pulling the trigger, you stand to walk away with a pair of in-ear headphones that will stay faithfully by your side for a good while. One of the best things about investing in a good set of earbuds is the fact that you will almost always see some innovative solutions. In case of Bowers & Wilkins C5 S2 In-Ear Headphones, those solutions are found in a number of places. What really strikes us as impressive is just how stylish these are. However good looks are not the only thing you’re getting. Hidden within the slim drive chassis is a set of pretty remarkable transducers which do a great job at providing you with great sound. Despite their somewhat odd appearance, it is worth mentioning that these are almost guaranteed to be a good fit thanks to the innovative loop retention system. 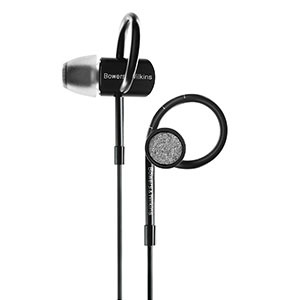 Overall, Bowers & Wilkins C5 S2 In-Ear Headphones definitely deliver in all important areas. Every industry has a couple of brands which you can trust no matter what. JayBird has built that kind of trust over the years by introducing quality and innovative wireless solutions when it comes to earbuds design. Their X3 series have proven to be quite an impressive set which bring just about all the bells and whistles you would want in a wireless pair. It doesn’t take long to realize that JayBird X3 are designed mainly for active users who require comfort, good fit but also a bit more protection from things like sweat. Thanks to the already proven ear hook technology, these JayBirds will stay in your ears no matter how hard you are running. If you want unchallenged freedom of movement, these will be your friend. Shure’s mics are legendary but that is not the only thing this brand knows how to make. Here we have a great pair of earbuds which are basically depicting what this brand is all about. 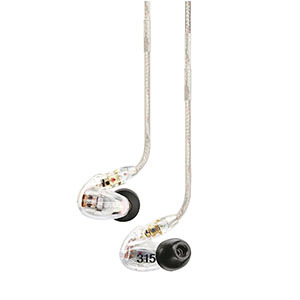 Shure SE315 features a fully transparent design that utilizes an over the ear approach. All of this gives it a very modern aesthetic that works great with an active lifestyle. When it comes to actual hardware, you can rest assured that Shure has selected a great set of drivers and put them in an equally good chassis. 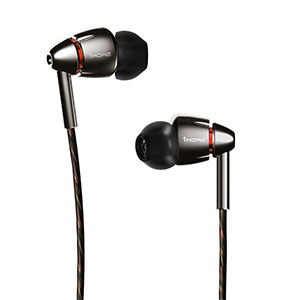 The overall result is a proper set of earbuds that can get in the elite sound quality segment without being too bulky. On top of that, the fit, comfort and retention is absolutely spot on. Rock solid set of drivers which leave very little to be desired. Great design which ensures good comfort as well as great retention. Impressive set of features allows you to EQ the sound and so much more. Overall build quality fits the character of a company such as Sennheiser. These are missing phone controls and a mic, both of which can be bought separately. Going with something like Sennheiser IE80 is a surefire way to get the absolute best bang for your buck. These earbuds on a whole different level of sound quality compared to most of their direct competition. That comes as no surprise considering that Sennheiser has been known for finding ways of cramming great sound into smallest of packages. Good sound isn’t all, though. These come with a number of impressive features which really put them up there among the best. We are talking a rather flexible EQ, the ability to swap out the cable and so much more. Sennheiser more or less covered all of their basses when they designed and produced these headphones. As such, they are worth checking out if you’re look no compromises. Great build quality ensures long service life and a peace of mind. Stylish aesthetics which make these one of the most attractive eabuds out there. Plenty of power and performance allows you to enjoy your music in a better way. An impressive set of accessories make these compatible with any platform out there. The cable is great but it is lacking reinforcements in some crucial areas. This particular pair is the living proof that you can always do better and get more from a very limited package that are earbuds. 1MORE, just like their name states, took on a task of coming up with ways to enhance the sound quality of their earbuds without making them too bulky. The answer came in form of their quad driver setup. Although these aren’t really four independent drivers, the three balanced armatures sitting on top of a carbon dynamic driver are about as close as you can get. The end result is a massive sound with full saturation in all aspects of the frequency response range. If you want great definition with a bass that really moves some air, these are worth checking out. Typical Pioneer high end level of quality control no matter where you look. Great design that is both stylish and easy to work with on a daily basis. Wide and dynamic performance is bound to satisfy just about anyone's taste. High functionality with iOS makes these very fluid for Apple users. The fact that you are only left with a Lightning port is quite limiting. Pioneer is known for being very good at following current technological trends. With Apple’s decision to ditch the standard headphones jack, Pioneer saw a great opportunity to come up with a suitable solution. What they ended up presenting us with was exactly that. Pioneer Rayz Plus is all about delivering high end performance while utilizing the Lightning port instead of the standard headphone jack. In terms of design, these are quite stylish but also comfortable and functional. Pioneer took this opportunity to implement some pretty cool features into this design. You get a Smart Mute ready microphone which increases the quality of your calls considerably, native Siri support and more. 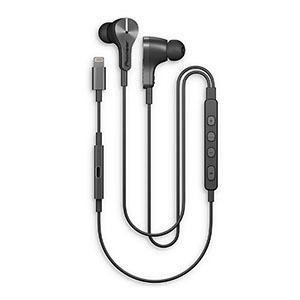 Overall, this set of earbuds is a great alternative to Apple’s stock set you get with newer phones. An unconventional and out of the box design that works quite well. Borderline perfect sound quality for a set of wireless earbuds. Impressive battery life thanks to the mighty docking station/charger. Good fit and plenty of comfort for a pair that looks rather uncomfortable initially. Finding a good set of wireless earbuds is much easier than it used to be. 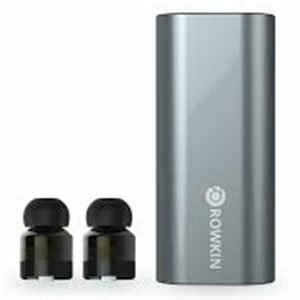 That is partially due to brands such as Rowkin who are constantly working on ways to increase the bang for the buck you can squeeze out of a set of wireless earbuds before you have to charge them. Their Bit Charge Stereo feature some pretty innovative options. For starters, these are fully autonomous earbuds. There are no cord or neck straps to hamper your movement. The large docking station is also what you use to connect the earbuds to your phone. At the same time, this docking block serves as a battery that can charge both earbuds numerous times. If need be, you could charge your phone as well. Overall, pretty impressive. One of the most impressive wireless solutions on the market at the moment. Built in fitness tracking features make these a great tool for active users. Impressive sound quality allows you to enjoy your favorite tunes on the go. Great battery life means you can workout and not worry about charging your earbuds. Although aesthetics really shouldn't matter that much, some diversity would have been nice. Wireless earbuds are more or less the standard these days if you are looking for something that works with an active lifestyle. Because of that brands such as Samsung have made it their goal to expand both the functionality and practicality of earbuds to include some fairly niche features. The result is a set like Samsung Gear IconX and it is on point. You have two fully independent earbuds packed with speak commands, a variety of fitness tracking features and easy to use controls. On top of that, the sound is pretty good for a set that’s all about convenience. Despite loading these full of features, Samsung knows that sound quality is kind no matter what. 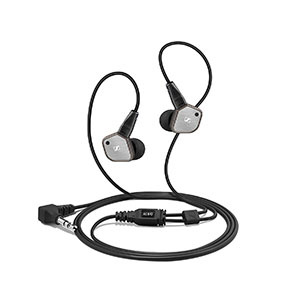 As far as fitness oriented earbuds go, these are among the best. Just What Kind Of Performance Can You Expect? Lets be real for a moment. There is nothing affordable nor cheap about a $200 set of earbuds. The fact that you are prepared to drop that kind of money on earbuds means that you can’t be satisfied with your average, run of the mill pair. No. You are looking for excellence in product which is severely limited due to its inherent design. This inherent limitation is exactly why something so small can cost so much. The real question is just what kind of performance can you expect to get from a $200 pair of earbuds? In our experience and opinion, that performance can be extremely well balanced. Still, does it warrant that kind of investment? Sure. If you are passionate about your music and you are looking for a way to experience it on the go, investing in a pair of high end earbuds is definitely the way to go. The most interesting thing about these type of earbuds is the fact that you generally have much more control over the sound. A good number of earbuds in this price range come with some sort of EQ built into them. Sound is not really the only thing that attracts people to high end earbuds. There is a large group of users who value convenience just about as much as they do a good sounding set of earbuds. Because of that, it is absolutely worth checking out all of the ways you can make your music experience better on a daily basis. The type of features you get are going to depend on what kind users the manufacturer had in mind. If it is a set mostly oriented towards those with an active lifestyle, you are probably going to see features such as progress tracking and similar. If the earbuds are optimized for a more relaxed use, you will see things like EQ as we have mentioned before, or advanced noise cancellation solutions. No matter which of these best fits your needs, it is worth remembering that you have plenty of options out there on the table. All you really need to do is take some time to do your research and chances are that you will find something that really matches your needs. This is a great question, especially considering how many great wireless solutions there are in this particular price range. Again, it all comes down to personal preference. Some people simply need that sensation of a cable going down their face while others are just fine with fully wireless solutions like the ones you can see on our list. While we can’t really tell you which way to go, we will point out that wireless systems require you to track the battery life. Although most of them have great battery life stats, some users simply don’t want to be bothered with that. If you belong to this group, going with a wired setup might be your best bet. One word: options. If you noticed that the jump into the circa $100 range had vastly opened up the world of choices, then you’re about to watch it open up even more. At this price range, brands are conscious of the fact that you have moved beyond the realm of a casual consumer of audio equipment. Someone willing to spend $200+ on a pair of earphones knows what they want, knows what they’re looking for, and will generally put in the time to make sure that whatever they purchase perfectly fits the bill. The big wide world of wireless earbuds becomes your playground at this price point, and there is no shortage of solid offerings across a broad spectrum of the industry. Of course, wireless is rarely the way to go if optimal performance is your main concern, but it’s always nice to have the option nonetheless. The good news is that there isn’t much to dislike here. You’ll be getting, for the most part, all the features you could hope for, plenty of choice and customization potential in terms of things like specialist functions (i.e. for sports earbuds) and visual design, and you should also be able to find a sound signature that works for you. That said, there may be an element of minor frustration which plagues the ardent audiophile. For the most part, a $200 pair of in-ear headphones has the potential to sound pretty great, but truly excellent audio carries with it a slightly more expensive price tag and companies want to ensure that their products cater to a broader spectrum of the population than just the audiophiles. It’s time to start looking for what you want to find. At $200 and above, you should no longer be concerning yourself with major tradeoffs. If you want a fashionable, statement pair of earphones that can also deliver a solid audio experience, you can find it. If you want wireless earphones with a myriad of options to customize the fit, it’s yours. Unlike purchasing at a lower price point, there’s no sense in which you should have to settle for less than exactly what you’re looking for in terms of feature combinations, product specialities, and look. While earbuds in the ~$200 price range probably will not net you the best listening experience money can buy, the key here is in their ability to suit your specific requirements across more than one area of performance. 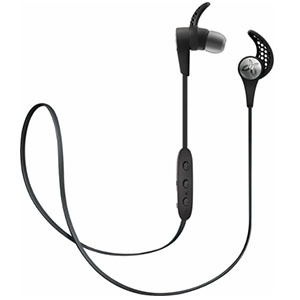 So even though you will struggle to find a pair of earphones which have stripped back their feature list to the bare minimum and opted for a generic design so that they can solely prioritize audio quality to compete with significantly more expensive models, you will definitely come across several models for which their primary focus is on delivering above average audio quality.